Israel is expected to host the Eurovision Song Contest in May 2019, following Netta Barzilai’s win at the 2018 edition. Israel is shamelessly using Eurovision as part of its official Brand Israel strategy, which presents “Israel’s prettier face” to whitewash and distract attention from its war crimes against Palestinians. Israeli Prime Minister Benjamin Netanyahu has called Barzilai “the best ambassador of Israel,” underlining his far-right government’s art-washing agenda. Palestinians have called on EBU members to boycott Eurovision 2019 if hosted by Israel, regardless of its location. Inspired by conscientious artists who shunned Sun City in apartheid South Africa in the 1980s, Palestinian artists and cultural organizations have called for nonviolent pressure in the form of boycotts on Israel until it complies with its obligations under international law. Israel effectively declared itself an apartheid state by adopting the "Jewish Nation-State Law." Palestinian citizens are now constitutionally denied equal rights. Holding Eurovision 2019 in Israel whitewashes apartheid. Straight out of apartheid South Africa’s propaganda playbook, Israel uses the arts to explicitly deflect growing condemnations of its violations of Palestinian human rights. Israel is using Eurovision to art-wash its egregious crimes against the Palestinian people. Israeli Culture and Sports Minister Miri Regev, who in 2012 compared African asylum seekers to cancer and incited mob violence against them, is reportedly seeking government approval of and involvement in the video clips played between songs at next year's contest. Pinkwashing is the cynical use of LGBT rights to distract attention from Israel’s decades-old denial of Palestinian human rights. Pinkwashing is part of Israel’s Brand Israel strategy. Exploiting Eurovision’s popularity among LGBTQ fans, Israel’s “best ambassador,” Barzilai, was quickly enlisted in Israel’s Pinkwashing efforts. She performed at Pride events around the world with the backing of Israel’s embassies. East Jerusalem is occupied by Israel and the international community does not recognise Israel’s sovereignty over any part of the city. The European Broadcasting Union (EBU), which runs Eurovision, has demanded a “non divisive” location for the 2019 Eurovision. Israel’s regime of military occupation, settler-colonialism and apartheid works tirelessly to impede Palestinian cultural development, one of our strongest tools of resistance. 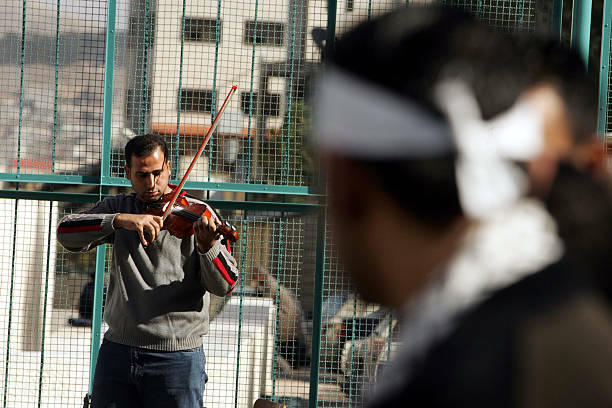 It regularly denies Palestinian artists their right to travel, both within the occupied Palestinian territory and abroad, detains performers without charge or trial, and has repeatedly raided Palestinian festivals and closed down Palestinian cultural centers. 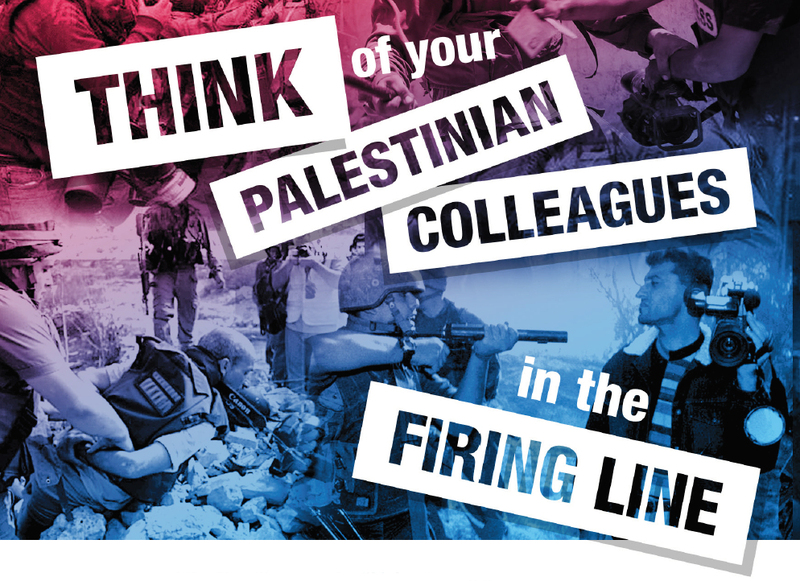 Palestinian journalists are on the frontlines of Israel’s deadly attacks. 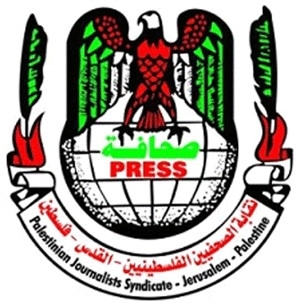 Rights organizations like Reporters Without Borders and the International Federation of Journalists have consistently denounced Israel’s attacks on unarmed Palestinians, including journalists. Just days before Eurovision 2018, Israel killed a Palestinian journalist and shot and wounded six other journalists in Gaza, while they wore clearly marked press flak jackets,as part of its shoot-to-kill-or-maim policy. Calls to boycott Eurovision 2019 if hosted by Israel are spreading across Europe and beyond, including from former Eurovision winners, commentators and presenters, legendary artists, trade unions and political parties. 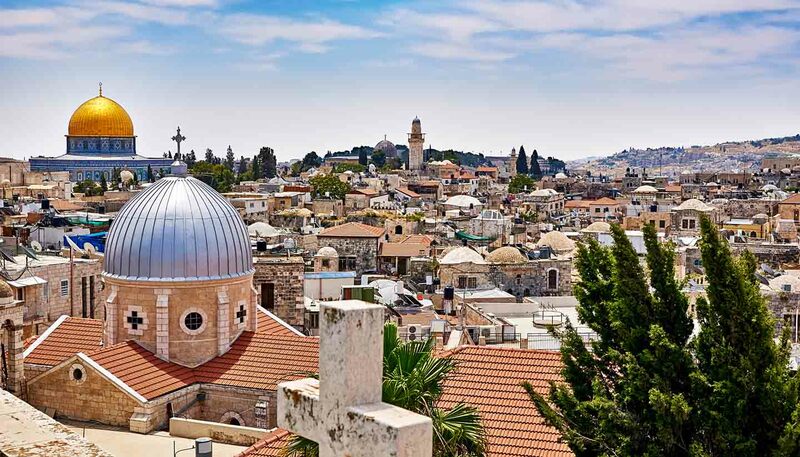 On June 7, Israeli culture minister Miri Regev insisted that “if [Eurovision] can’t be in Jerusalem – we shouldn’t host it.” Three days later, the Israeli government sidelined her and dropped its demand to hold Eurovision in Jerusalem, moving to an open tender process instead. 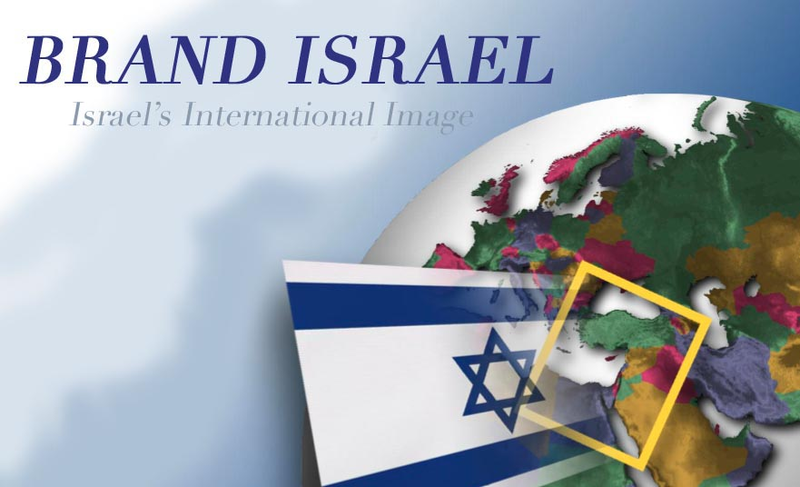 Now Israel is hinting that Tel Aviv may be the host. Palestinian artists and broadcast journalists call for boycott of Eurovision 2019. Celebrities and public figures launch campaign in Ireland to boycott Eurovision if hosted by Israel. Those calling for boycott include former Eurovision winner Charlie McGettigan; Irish broadcaster and former Eurovision commentator Mike Murphy; former Eurovision presenters Carrie Crowley and Doireann Ni Bhriain; artist and Riverdance set designer Robert Ballagh; Irish musical legends Christy Moore, Mary Black, Paul Brady, Andy Irvine, Frances Black, Donal Lunny, Honor Heffernan, Cormac Breatnach, Dee Armstrong and Steve Wall. 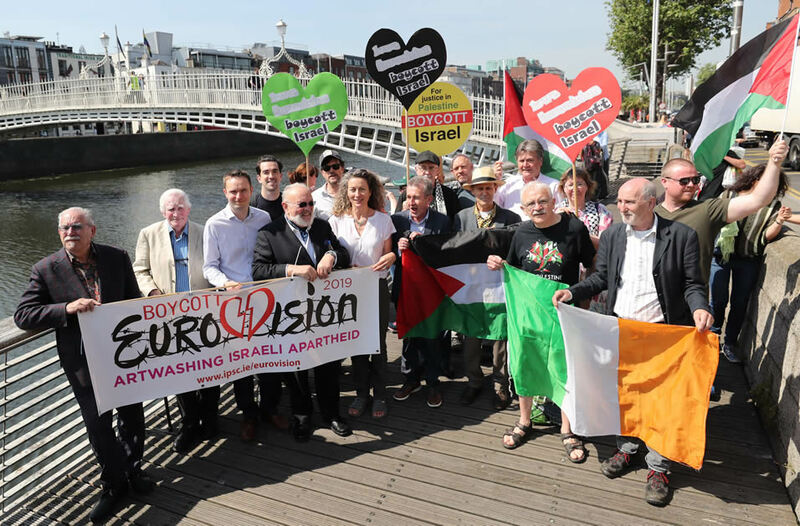 The Lord Mayor of Dublin Micheal Mac Donncha calls for Ireland to boycott Eurovision 2019 to show solidarity with the people of Palestine. The Musicians Union of Ireland and Irish Equity, the trade union for actors, dancers, directors, and stage and set builders/designers, endorse the call to boycott Eurovision 2019. In Iceland, almost 8% of the country’s population sign a petition to boycott Eurovision 2019. The Israeli consul to Iceland rushes to do damage control. Boycott calls emerge in the UK, Sweden, Malta, Australia and the Spanish state, with growing public discontent reverberating across Europe. William Lee Dams, editor of popular Eurovision blog, comments to the Associated Press: "There is a greater concern this year than any other year I can remember about the political backdrop surrounding Eurovision. Many Eurovision fans build their whole year around a trip to Eurovision, and just given the nature of what's going on their ideal has been tarnished." Across Europe, tens of thousands of people have signed petitions urging broadcasters, singers and songwriters to boycott Eurovision hosted by Israel. Holding Eurovision 2019 in Israel will serve to art-wash Israel’s violations of Palestinian rights. 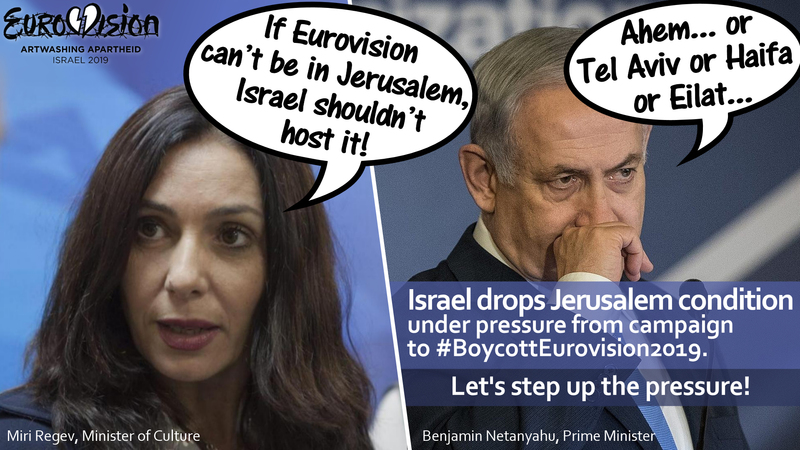 Calls to boycott Eurovision if hosted by Israel are already spreading across Europe and beyond. Through grassroots campaigning, we can put pressure on the European Broadcasting Union to move the contest from Israel and raise awareness on Israel’s attacks on Palestinian culture. Help spread the word on the campaign to boycott Eurovision 2019 if hosted by Israel. Share the campaign on social media. 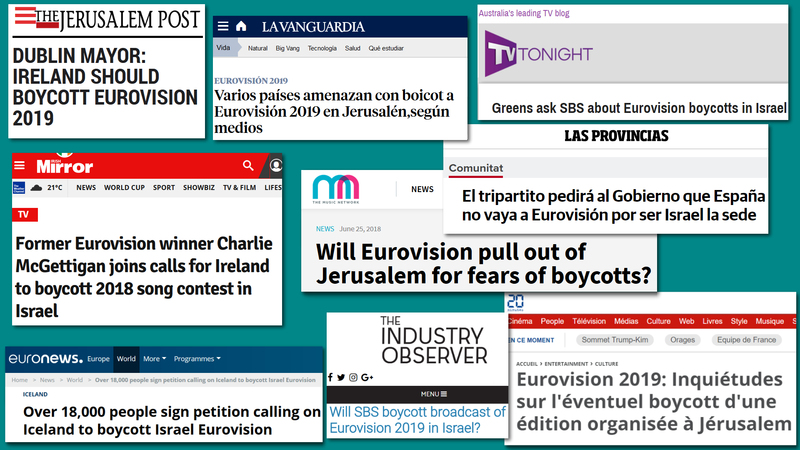 There are organisations working on the #BoycottEurovision2019 campaign across Europe and beyond. Get active and connect with a group in your country now! Join more than 35,000 people and sign the petition to boycott Eurovision hosted by Israel! Organize a local call of action to boycott Eurovision, gather support locally and nationally from artists, journalists, trade unions, civil society organisations and elected officials. Appeal to past and present Eurovision participants to speak out against Israel’s hosting of Eurovision. Lobby your public broadcaster to respect Palestinians’ picket line and refuse to attend the competition if it is hosted by Israel.